John Maher: Hi, I’m John Maher, and I’m here today with Sue of My Life Greetings. 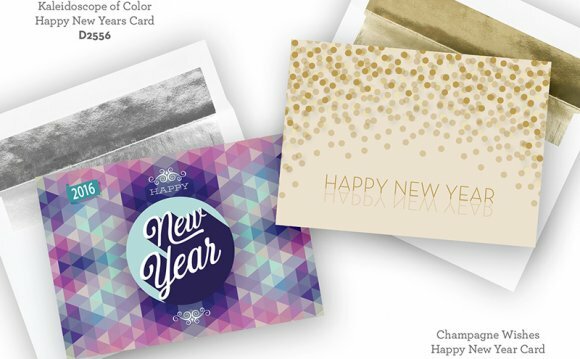 Today, we’re talking about New Year’s versus holiday cards. Welcome Sue. Can You Send Holiday Cards After Christmas? John: Sue, every year, holiday cards are typically sent out well before Christmas. It seems like every year, the time gets away from me and I don’t get my holiday cards out in time. Is sending cards after Christmas OK? Sue: Sure you can. You’ve already bought them, so go for it, use them. Never, ever let something like that go to waste. You’ve taken the time to select them. I’ve once regrettably wrote them all out, and then forgot to send them. Things happen, so sure, send them out when you can. John: It’s still seems a little bit weird to me to send out my Christmas cards after Christmas. Do you have any other last minute options for people who procrastinate a little bit? Sue: We do. At My Life Greetings, we have a huge selection of cards, and within that selection, we have a great variety of cards specifically geared for New Years. This way, on the inside, you could have a verse that would specifically say something about, “Warmest wishes for the holiday, and a happy New Year, ” or something for the holiday season, as opposed to Merry Christmas. You can still put a Merry Christmas verse on there, if you want it. You can put whatever you want. John: Do those cards have the same options as your holiday cards? Sue: Absolutely. The cards have the option to change verses, ink colors, and fonts. We have nine different ink colors that are standard and 32 fonts. You can make the card as unique as you choose, with your own written verse. One of the best aspects of My Life Greetings is you’re able to see your proof of the card before you order, so you’ll know you’ll love it before you order it. John: What about getting a photo card? Sue: The best idea, especially those with children. I received a card a couple years ago. It was after Christmas from somebody I was very surprised that I hadn’t gotten a card from them prior, and what they did was they got the kids a puppy for Christmas. John: Oh, wow. And they wanted to include the new puppy on the holiday card? Sue: It was the picture of the kids under the tree on Christmas morning, and the looks on their faces for the first time when they saw the puppy. Sue: Then somebody went so far as they recorded the audio, and you can just hear these two little kids screaming, because they did one of the QR codes on the inside of the cards. John: Those are the codes that you scan with your smartphone, and it goes to a video, a page, or something like that. Sue: Right. It’s either an audio, or it can go to a video. It was just the best thing. Looking at this card, and hearing these two little kids scream, “It’s a puppy!” It was really, really cool. John: That’s great. What about calendar cards? Sue: Calendar cards are great to send after the holidays. They’re most likely to be kept for the whole year. We have a big selection of them, but like I said, you just keep them for the year, so if those are sent a little bit late it’s even better, because they don’t get lost in the card shuffle. John: Aren’t calendar cards a little bit business‑y, though? I don’t know if I’ve ever gotten one from a family. Sue: Our larger calendar cards have a really large area to print in at the bottom. They’re usually used for businesses, but families can use them, too. If you’ve got copy to fill the spot and it looks nice, or if you want to make your copy a little bit larger so it fills the space with just a couple of lines, absolutely. Go ahead, and do that. John: You could have your family name, as in big, printed on there with just a few words, and use a larger font size. Sue: You can put your email address and things like that. We also have smaller cards with a smaller personalization for your family name that are calendars. Either way, these are great to put on the fridge, or inside a cabinet for easy look up. This way, it’s real quick and you don’t have to change the page every month. How Late Can You Send Holiday Cards? John: Right. What’s the latest that a holiday card really could be sent? Sue: I would say no later to mail them out than the 15th of January. I’ve gotten a couple later, but not too often. Even if it’s a Christmas card, sending them after Christmas is better than not sending them it all. You’re still letting people know that you care. John: Like you pointed out, it’s a nice surprise for people. They’re not getting a lot of cards at the end of January. It’s going to make an impact, and even if it’s a little bit of a laugh like, “Hey, we were so busy. We didn’t get our cards out early enough, but here you go.” It makes an impression, and then people would really appreciate that they got a card from you. Sue: Exactly. It’s a great way to reach out. John: That’s really good information, Sue. Thanks again for speaking with me today. John: For more information, or to purchase Christmas cards, and other holiday cards you can visit or call 844‑MYLIFE‑4. Follow us on Facebook, Instagram, Twitter, and Pinterest.